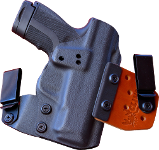 about concealed carry and the various holsters, calibers, ammo, and firearms available. beginning to get information overload. information and opinions, resulting in confusion and lack of direction. someone know where to start? is to pick one that fits your hand and is easy for you to operate. 9 milimeter seems to be the most popular. Pick one that isn’t complicated. are inexpensive, and will take care of almost any situation. surprised at how quickly you become proficient.